JEWEL-TONE FLOWER POT TRIO by Summerfield Terrace home decor, jewelry, decor, decorations, electronics, fountains, floor mats, art glass, vases, garden essentials, fireplace screens. Bring a burst of color to your garden! Embossed earthenware flower pots are sumptuous in shades of azure, topaz and peridot. 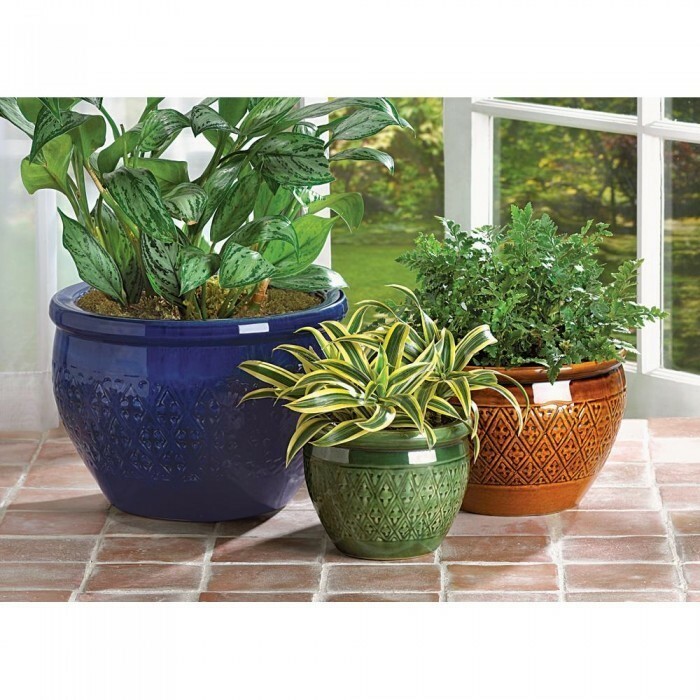 Set includes three separate sizes to hold a variety of your favorite greenery! Drain hole at bottom of each pot. Material(s): CERAMIC. Weight 13 pounds.